Although Puerto Rico is a relatively small island in the Caribbean, just over 3,500 square miles in size, few roads and notorious traffic can make traveling inside the island frustratingly time consuming. Visitors to Puerto Rico have spent precious vacation time in a rental car sitting in traffic. My advice is to make a plan of the places your group would like to see and the activities they would like to do and search for accommodation as close to those sights as possible. Having visited Puerto Rico dozens of times, one of the areas we often stay in when visiting the island is around Río Grande. About 40 minutes east of San Juan on the north coast, the area has much to offer, especially for those that won’t have the luxury of staying for an extended period of time. These nearby attractions are a great reason to stay in this area. El Yunque is the only rainforest in the United States National Park System. The entrance to the park is located about 10 minutes away from the Wyndham Casino and Resort in Rio Grande. Guided tours as well as unguided trails are available year round (weather permitting) and provide some of the most beautiful landscapes and views of the coast. This is a must for photographers and nature lovers alike! Zip-lining is also available in el Yunque and some of the tour guide companies offer packages that include zip-lining. The “Kioskos” and seafood in Luquillo are well-known by locals and visitors alike. Although surrounded by water, seafood is not common throughout the island and mostly available in small fishing towns like Luquillo. The Luquillo kiosks are about 15 minutes away from the resort and feature sixty different business spaces that mostly sell food and drinks. Here you can sample fresh seafood caught locally and prepared on the water in a very casual environment. If you are looking for something different to eat, hang out, purchase souvenirs, or dance the evening away to live music there is likely a kiosk for you. Some of them have been owned and operated by the same families for decades. To check which days they are open or if you aren’t sure which one to try, we recommend using Yelp or asking locals. The Bioluminescent Bay in Fajardo is the closest one to San Juan and is one of the easiest ones to access. On a clear night you can expect to see beautiful night scenery along with the second most active luminescent bay in Puerto Rico. The bioluminescence is created by rare oceanic plankton that live in the bay called dinoflagellates. When they are disturbed they emit create an ultramarine illumination that can appear green. Dinoflagellates are extremely delicate microorganisms that are sensitive to environmental conditions, making it both a vulnerable and rare ecosystem. 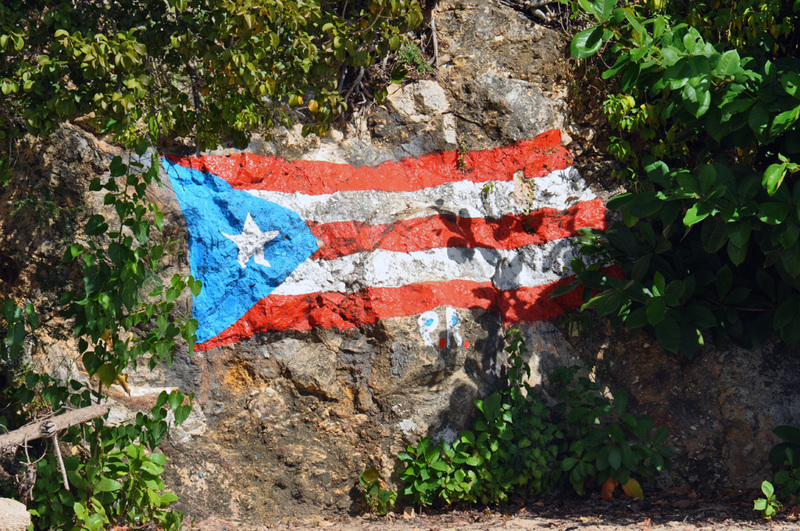 Visiting Old San Juan is often one of the most memorable parts of a trip to Puerto Rico. It is said that there is something for everyone there; colonial European architecture, museums, art, restaurants, music, bars, sculptures, and dancing. To get the most out of touring Old San Juan, we recommend taking a day tour like this one. If you decide to forgo a tour guide there is Visitor’s information center, a free public trolley that can take you close to most historic sites, and police officers are bilingual and specially trained by Puerto Rico’s tourism department. The Tour of Casa Bacardí is also a favorite experience for many visitors to the island. The new Bacardi Visitor’s center is a museum that highlights the growth of the brand from a small rum manufacturer to a global brand. They offer three types of tours; the Historic Tour (all ages), the rum tasting tour (18+), and the mixology tour (18+). The price of the tour includes at least one cocktail (based on the type of tour) and a souvenir cup.